spotlights particular albums that sound mighty fine on vinyl! They are great however you play them but truly come to life when you pop them on the record player and drift away. I have been meaning to feature The Beach Boys’ Pet Sounds for a while now. The reason I am bringing it up today is the fact the band went into the studio on this day in 1966 to start recording Wouldn’t It Be Nice – it would open Pet Sounds and is one of The Beach Boys’ most iconic numbers. One cannot think of the 1960s and the best albums of all time without mentioning Pet Sounds. I was heavily into The Beach Boys as a child and my first exposure to them was their surf music. I adored classics like Surfin’ U.S.A. and something about these songs struck me. They were tight, upbeat and sunny and, where I was living, I could only imagine what it was like to surf in California and see what The Beach Boys were seeing. Things changed on 16th May, 1966 when Pet Sounds came along. Only the year before, the band put out Beach Boys’ Party! and that, as the title implies, was sort of a continuation of the more upbeat and surf-sounding songs that had come before. The eleventh album from The Beach Boys was, strangely, met with lukewarm attention when it was released! It is hard to think of another album that gained so much more positive attention retrospectively – maybe Beastie Boys’ Paul’s Boutique came close! The album did make the top-ten but it was a relative disappointment for the band. I guess, in 1966, bands like The Beatles and The Byrds were ruling; there was a lot of Psychedelic influence and iconic songwriters like Bob Dylan were entering new creative phases. Perhaps Pet Sounds was a bit unusual in the context of 1966’s music but, I suspect, few were ready for the new creative phase of The Beach Boys. When we become familiar with an artist and their style, it can be hard adapting and accepting something different. The fact it is seen as one of the most progressive Pop albums ever drills down to the issue: critics and fans were not ready for something so forward-looking and advanced. The new partnership of Brian Wilson and Tony Asher hit its peak and, whereas Wilson took charge of all the arrangements and compositions, Asher was responsible for creating these stirring and timeless lyrics – most evocatively on the album’s standout, God Only Knows. Wilson had quit touring with the band the year before to focus on writing and, between January and April 1966, one of the world’s greatest albums was laid down. It is nice to think there was this sort of one-upmanship between The Beach Boys and The Beatles. 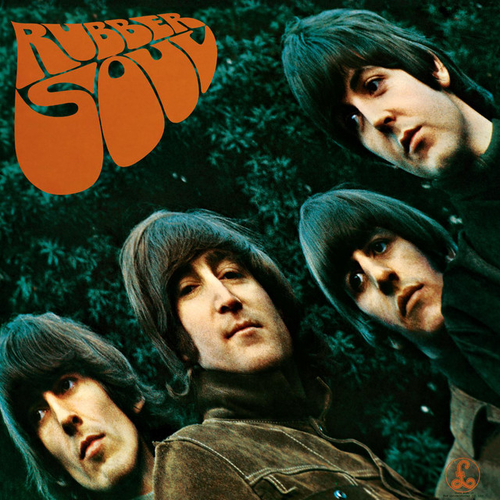 Wilson confessed his love of The Beatles’ Rubber Soul (1965) and he wanted to make the greatest Rock record ever. In some ways, Wilson had The Beatles in mind when composing The Beach Boys’ masterpiece – I often wonder whether The Beatles’ Revolver (5th August) was a response to The Beach Boys’ wonder-work?! One reason why Pet Sounds is perfect for vinyl is all the unusual elements and sounds that one can discover. There are French horns, Coca-Cola cans and bells (among many other things) that go into the variegated mix! Unified by A Phil Spector-style Wall of Sound production, the album is, literally, a combination of Brian Wilson’s ‘pet sounds’. It is debatable whether the mono or stereo version of the album is truest and most spectacular but I guess, if listening on vinyl, one has to go stereo – I have included the mono version at the end because it sounds pretty good when heard through headphones. The Beach Boys had laid rest to their beach-themed music by summer of 1964 and were starting to look for a new direction – All Summer Long marked the end of an era in many ways. Various factors contributed to The Beach Boys’ sonic change. Brian Wilson had retreated from live performance – compounded by a panic attack he suffered on a flight – and he was experimenting with psychedelic drugs. The band’s horizons were opening and, when Wilson met Asher in 1965, it was a wonderful unity – Asher was working as a jingle writer at the time and few realised what lyrical gifts lurked within him! Wilson and Asher began swapping ideas and working on this new venture. Wilson loved Asher’s coolness and intellect and was intrigued by the lyrics he was coming up with. The two had this instant connection and would talk long about their lives and experiences in love. In many ways – and as Asher himself stated – Wilson was the guide of the lyrics; Asher was an interpreter and creator. It was a fantastic partnership that spawned this genius album. The two worked together for a few weeks where they would trade ideas and come up with these incredible songs. Many see Pet Sounds as a concept album because of its uniformity and musical brilliance – less to do with lyrical themes and story. Wilson’s then-wife did, to a degree, inspire songs such as You Still Believe in Me and Caroline, No, but can one call love a concept?! Wilson loved the fact The Beatles created Rubber Soul and did not include any filler tracks. That record is a complete and extraordinary statement so, in that vein, Wilson wanted to produce his version. Wilson was deeply influenced by Phil Spector and learned of his production style through taking sessions with him. Pet Sounds contains a lot of Spector’s hallmarks and that distinct production style. Many saw Pet Sounds as a Brian Wilson solo album because of the decrease in harmonies – something that defined The Beach Boys in the early days. The band was still united but one can hear more of Wilson’s direction and life on the page than before. The fact that a lot of their previous work was more general and throwaway – in the sense the songs were pretty short and the lyrics did not dig as deep – led many to believe that, when presented with this personal and emotional record, it was Wilson’s true self coming out! The band (minus Wilson) were touring whilst Wilson was putting down ideas and, by the time they returned, a large proportion of the album had been created/realised. If the music on Pet Sounds sounds tight, flawless and natural, that was not always the case. The rest of the band wanted something simple and commercial whereas Wilson knew the band had to grow and try something fresh. This led to conflict and disagreements and there was a notable tension in the studio. The rest of the band were not sure what the words were about and what meaning they held. A lot of their surfing songs were about girls, fun and good times but, when presented with romantic odes, passionate pleas and these complex songs...they were befuddled and they seemed completely foreign. The Beach Boys had I introduced similar themes (to Pet Sounds) on 1965’s Today! (that included the classic, Help Me, Ronda) but their new album was on a different plain. “The spiritual quality of the material is enhanced by some of the most gorgeous upper-register male vocals (especially by Brian and Carl Wilson) ever heard on a rock record. "Wouldn't It Be Nice," "God Only Knows," "Caroline No," and "Sloop John B" (the last of which wasn't originally intended to go on the album) are the well-known hits, but equally worthy are such cuts as "You Still Believe in Me," "Don't Talk," "I Know There's an Answer," and "I Just Wasn't Made for These Times." It's often said that this is more of a Brian Wilson album than a Beach Boys recording (session musicians played most of the parts), but it should be noted that the harmonies are pure Beach Boys (and some of their best). Massively influential upon its release (although it was a relatively low seller compared to their previous LPs), it immediately vaulted the band into the top level of rock innovators among the intelligentsia, especially in Britain, where it was a much bigger hit”. “Recorded and released in 1966, not long after the sunny, textural experiments of "California Girls", "Pet Sounds", aside from its importance as Brian Wilson's evolutionary compositional master piece, was the first rock record that can be considered a "concept album"; from first cut to last we were treated to an intense, linear personal vision of the vagaries of a love affair and the painful, introverted anxieties that are the wrenching precipitates of the unstable chemistry of any love relationship. This trenchant cycle of love songs has the emotional impact of a shatteringly evocative novel, and by God if this little record didn't change only the course of popular music, but the course of a few lives in the bargain. It sure as hell changed its creator, Brian, who by 1966 had been cruising along at the forefront of American popular music for four years, doling out a constant river of hit songs and producing that tough yet mellifluouis sound that was the only intelligent innovation in pop music between Chuck Berry and the Beatles”. I honestly think Pet Sounds could be considered if it contained God Only Knows and some inferior songs. The fact there are so many other genius offerings makes it an embarrassment of riches. There is a lot of affection for songs like Wouldn’t It Be Nice but one cannot deny God Only Knows is the leader of the pack! There are thirteen songs on the first side of Pet Sounds and, as you put the needle down, you’ll experience the likes of Wouldn’t It Be Nice and Don’t Talk (Put Your Head on My Shoulder). The second side has Pet Sounds and Caroline, No in the mix but it opens perfectly: the majestic and unbeatable God Only Knows. There is that great mix of older Beach Boys elements – great harmonies and plenty of upbeat – but God Only Knows showcases the more emotionally rich and tender side to The Beach Boys. Fuelled by Tony Asher’s incredible lyrics, it is one of the greatest love songs ever penned. Because the song mentioned the word ‘God’, it caused some confusion. It was rare for a Pop song to do that and people were over-interpreting. The song could be addressed to any higher force as it is more about moving on after loss rather than praising a deity. Whereas the song was produced by Brian Wilson and he composed it, it was Carl, his younger brother, who sung the lead vocal. Backed by, among other things, French horns, violas and accordions, it is a complex song that many have studied ever since. The fact there are perpetual rounds in the coda and it has a definite signature means it was vastly different to anything that came out at the time – one can argue nothing since then has made such an impact. Brian Wilson has said no one woman was the inspiration for the song: it was a vision he and Asher had about being blinded that hard. Its emotional directness and incredible composition make it a standout from an album overloaded with brilliance. The song was lauded by none other than Paul McCartney. He cites it as his favourite song ever and, I am sure, that will never change. God Only Knows often tops the ‘greatest songs ever’ lists and its sheer grace and heavenly tones cannot be disputed. Listen to the song on vinyl and you get this incredible rush and impact. The entire album is a perfect vinyl choice and, after one listen, you are hooked and invested. You do not need me to point that out but there are people out there who have not heard the whole album and would have missed some of its gems. Pet Sounds is great electronic but you do not get the same magic as you do hearing it on vinyl. On 16th May, Pet Sounds turns fifty-three and, I hope, will be discovered by a new generation. It is amazing to think that, fifty-three years ago today, The Beach Boys stepped into the studio to record Wouldn’t It Be Nice. I wonder whether the band knew that, in just a few short months, one of the best albums ever would be completed – I guess that was Brian Wilson’s intention all along! I am not shocked the album has inspired so many people and it is still being talked about today. Such is the complexity of the music and the directness of the lyrics that they stimulate your heart, soul and mind. I am struggling to think of another Pop album that is so rich and unique. It is a testament to Brian Wilson’s ambition and Tony Asher’s lyrics that Pet Sounds is revered as this titanic musical creation. THE finest in all of music’s history.